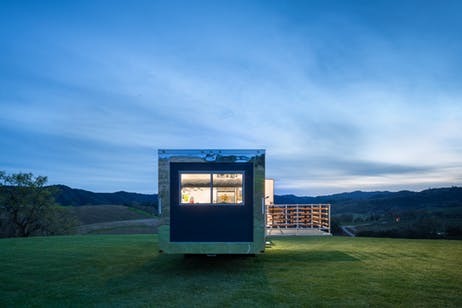 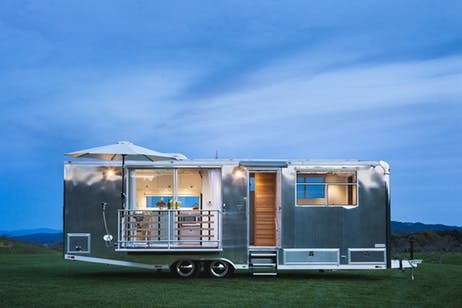 Here to help you make the most out of your mobile lifestyle is Santa, Barbara, California-based startup Living Vehicle, an all-aluminum towable trailer. 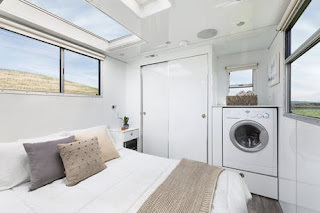 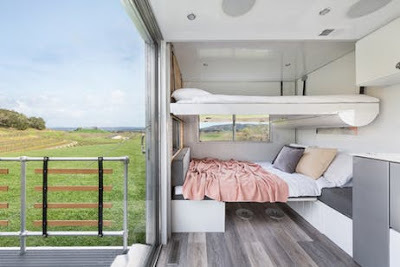 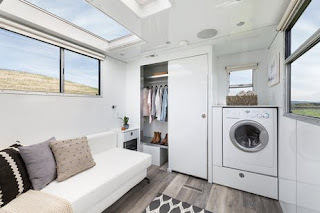 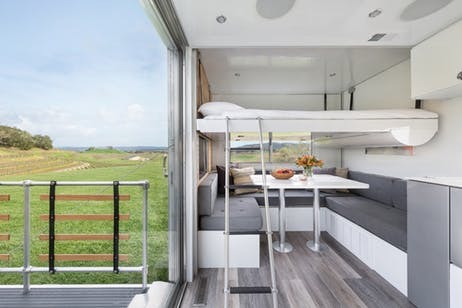 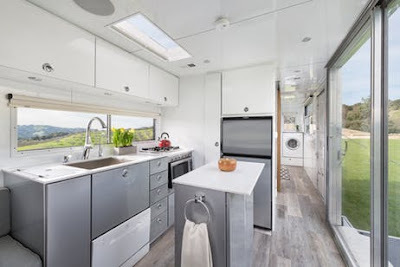 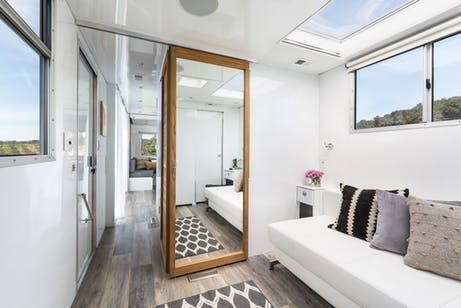 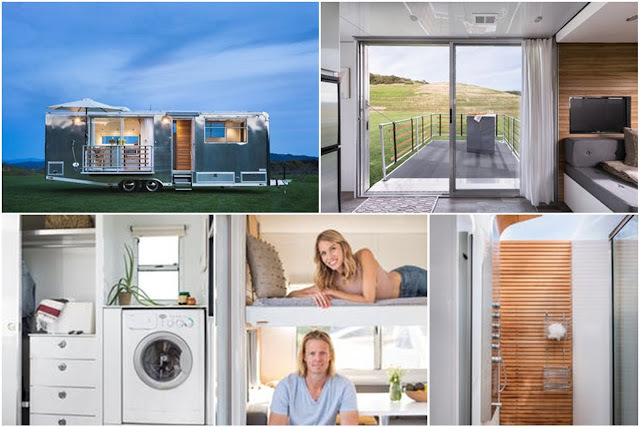 At 212 square feet, the tiny space provides enough leg and sleeping room for six people, plus it's pet-friendly and comes with a lithium ion-powered solar system that allows it to go completely off-the-grid. 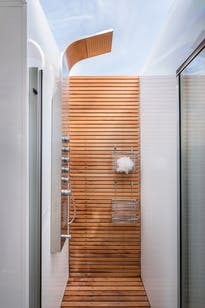 The trailer is equipped with a Euroloft bed that lowers from the ceiling and a three-quarters spa style bathroom that allows guests to unwind and freshen up in private. 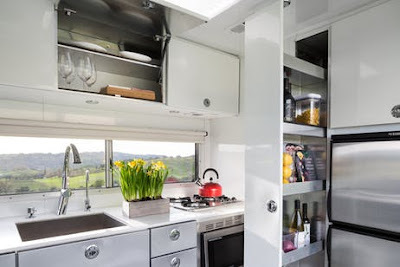 Packed into the minimalist living quarters is a fully functional chef's kitchen. Also, full-sized storage compartments allow you to easily bring along all the equipment you'd like to take for on-the-fly adventures, such as kayaks, bicycles, surf boards and skis. 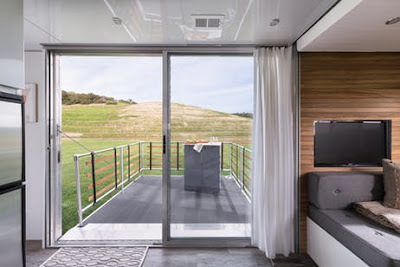 Or you could just hang out and take in the views on the vehicle's extended outdoor deck. 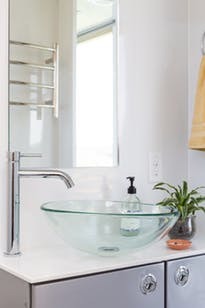 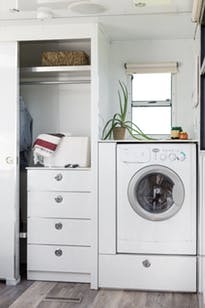 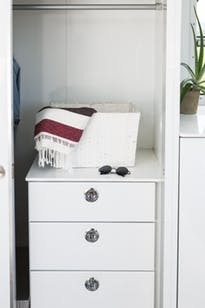 Now, a common dilemma about living in a small space is how to keep it clean. Luckily, the Living Vehicle comes with an internal vacuum system to help keep the dust (and pet dander) pollution to a minimum. 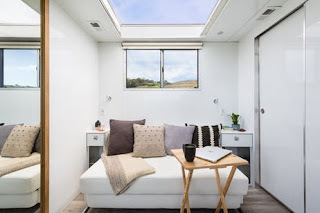 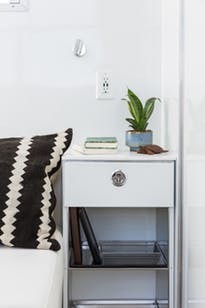 And because life on the road doesn't necessarily mean all work and no play, there's a designated space that can be easily converted into a work area, complete with an antenna for remote Wi-Fi access. 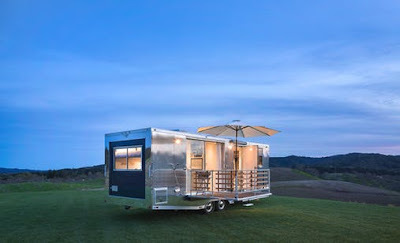 We believe in living a life that respects our earth and aims to leave it a better place for our children. 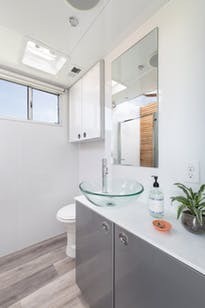 As designers, it's our responsibility to lead the way by creating spaces that have positive impacts on the world for future generations. When designing Living Vehicle, we imagined not only creating a low-impact, high quality product with the capacity to last for generations, but a living space that would improve the long-term health and well being of its occupant's life. This effort is the essence of sustainability and is the driving inspiration behind our mission as a company. 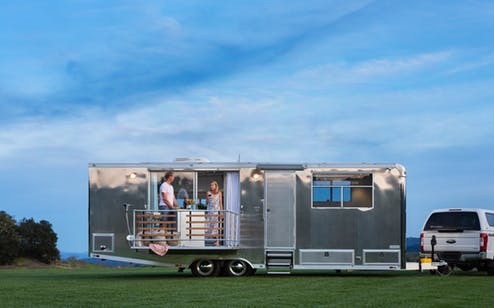 The total price for a Living Vehicle is $149,995, not including tax and registration. 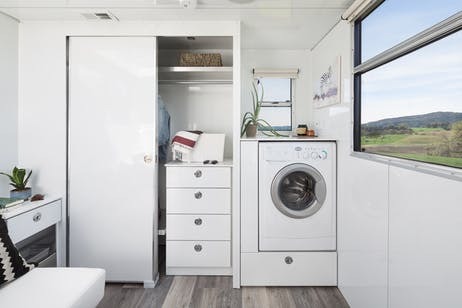 The company is taking orders now, and deliveries are set to begin this summer.